Only two years have gone by after its creation , and ALAPP- Argentina is showing its musical presence through different activities that appeal to students, piano teachers , investigators and music lovers. Thanks to its “alma mater”,Mtro. Alberto Portugheis, and the enthusiasm of its founding members, Valentín Surif, Estela Telerman, Lilia Noguera, Alfredo Corral , Ana María Mondolo, Martha Bongiorno , Guillermo Carro and Gloria Diograzia, ALAPP- Argentina was created in September 2006. In 2007 it started its presentations with a concert of the Chamber Orchestra of Culture Broadcasting Station with Alberto Portugheis as a soloist and under conductor Alfredo Corral,During the year there were different concerts to pay homage to the memory of Mozart, Schumann and Ginastera in their respective anniversaries. It continued with three different series of concerts offered by young Argentine talents, Argentine pianists , and Non- Argentine artists as well. Among them , we were honoured by the presence of Carmen Piazzini (Germany- Argentina),Valentina Diaz Frenot ( France-Argentina-Paraguay),Ratimir Martinovic (Montenegro), Elizabeth Joy Roe (USA),Boris Kraljevic(Montenegro),Oscar Macchioni (USA-Argentina),etc. Thematic recitals were offered in the memory of Jan Sibelius, Edvard Grieg, Maurice Ravel, Claude Debussy ,and Isaac Albeniz . There were master classes, seminars , and workshops offered by recognized pianists from Argentina and from abroad like Mirian Conti (from Juilliard School of Music –New York) and by specialiszed piano teachers like Ana Inés Aguirre , from the National University of San Juan ,investigator and expert in piano methods for young piano students. The attendants to these master classes came from different conservatories, universities, and private teachers from all over the country. 2008 started with the presention of the recently edited CD of Valentina Diaz Frenot , with Isaac Albeniz´s Iberia Suite, recorded in Germany under the advice of Alicia de Larrocha..
A Seminar –Workshop on the Interpretation of the Chopin Piano Studies by Elsa Puppulo, who published a DVD with the approval and advice from Martha Argerich..There will also be thematic lecture -recitals like Laura Maito´s project on Jazz in classical music with investigation and interpretation of works by Strawinsky , and Gershwin among other composers, and Nélida Sanchez (Argentina) is organizing a seminar on Romanticism in piano repertoire. select Argentine young pianists to continue studies in four American universities. ALAPP- Chile and ALAPP –Ecuador. and at the same time we are trying to extend our activities to other Latin American countries like Paraguay, Uruguay and Brazil. The exchange programme with ALAPP –Chile already started with the participation of our president Valentín Surif , through offering master classes at the Conservatory of the Universidad Mayor from Santiago, and he will proximately take part in the ALAPP_Chile Celebration of Romanticism with a recital fully dedicated to Romantic composers. As part of our future activities, we regularly hold auditions for young pianists in order to include them as participants of our public performances. 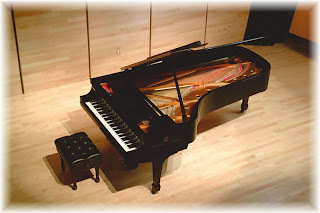 ALAPP Argentina, The Latin American Association of Pedagogue Pianists (affiliated with EPTA) was founded in Buenos Aires (Argentina) in September, 2006. Branches throughout the country will eventually be established. The association is meant to link piano teachers, students and piano music lovers to the latest musical activities of their interest . Members of the Board are Valentín Surif, Estela Telerman, Alfredo Corral, Lilia Noguera, Ana María Mondolo, Martha Bongiorno, Guillermo Carro , and Architect Gloria Diograzia. ALAPP Argentina’s goals are to improve piano teaching techniques by promoting research on different aspects of piano performance, teachers’ training, as well as to encourage the study of the instrument at all teaching levels. ALAPP began its activities in September 2006 by offering piano recitals and a course devoted to the performance of piano works by Mozart on the anniversary of his birth, and Schumann and Ginastera on the anniversaries of their death. This first course was taught by visiting Argentine Maestro (now residing in London) Alberto Portugheis. It was attended by gifted young pianists from several Argentine cities as well as others from France. During his stay among us, Maestro Alberto Portugheis performed three recitals in Buenos Aires and La Plata--his hometown--featuring piano works and songs with soprano Silvina Martino, and as a soloist with the FM100.3 Youth Orchestra conducted by Alfredo Corral. From November 2 to November 6, 2006, Valentín Surif, Ana María Mondolo, and Estela Telerman (members of the ALAPP Board) and Estela Erdfehler (an ALAPP member) were invited by the University of Cuyo (Mendoza) to the Third Latin American Arts and Design Conference. Pianist Surif’s presentation contributed to meet one of ALAPP’s goals, that of establishing close relationships with colleagues from different Latin American countries. The lecture by Estela Telerman and Estela Erdfehler dealt with the music event and the treatment of popular and classical music in the Argentine cinema of the 40s and the 50s. Professors Telerman and Erdfehler, drew a parallel between the social status of movie characters devoted to tango performance and those devoted to piano performance. Other activities that took place in November 2006 included a Masterclass by Mirian Conti (New York), and the sponsoring of a piano recital by the U.S. pianist Elizabeth Joy Roe, the winner ot the "Mirian Conti-Argentina Prize for a Juilliard Pianist” Award. In December, 2006, pianist Valentin Surif performed a program on Ginastera at the closure of the Ginastera Festival in London. 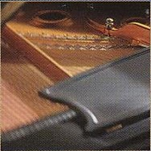 Auditions took place in Buenos Aires for the selection of young pianists to perform in the 2007 Young Pianists Series . 2007 ALAPP International Pianists Series will feature Carmen Piazzini (Germany) , Valentina Díaz Frénot (Paraguay-France), Ratimir Martinovic (Montenegro), Antonio Formaro (Argentina) , and Eduardo Delgado (US.). ALAPP activities will also include masterclasses taught by Carmen Piazzini, Valentina Díaz-Frénot (French Piano Music), Dora Castro (Argentine piano music) , Oscar Macchioni (Specialist in Piano Pedagogy from the University of Texas) , Eduardo Delgado (California State University Fullerton).